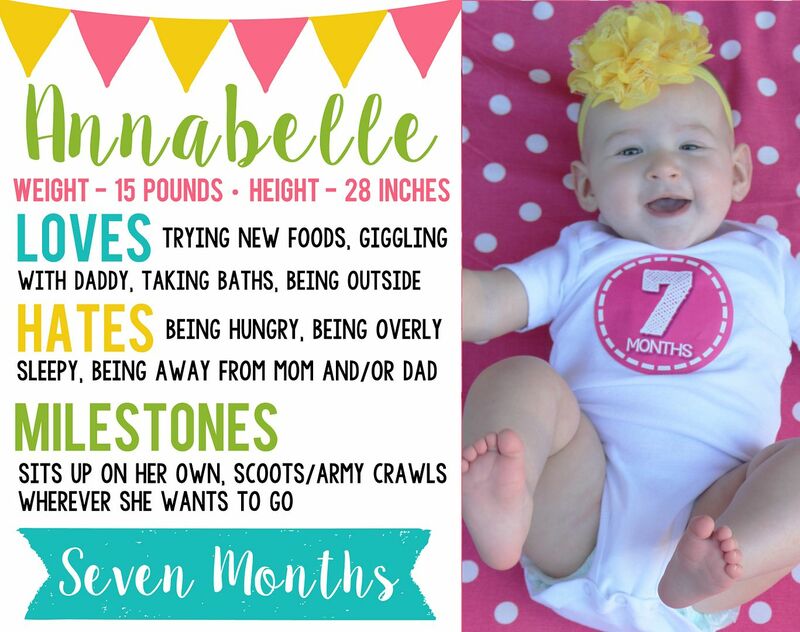 The past month has pretty much been a blur since we left Ohio and moved into our new home in Wichita Falls, Texas... but in that time, somehow Annabelle turned seven months old. We packed, loaded, drove, unloaded, and unpacked. And Annabelle has been SUCH a trooper. Sure, she had naps thrown off by hotel living, traveling, and seeing so many family members and friends, but all in all, she is still one happy little girl. She has reached a couple new milestones, such as crawling a bit and sitting up on her own this past month. We absolutely love seeing her accomplish new things after much practice. She hasn't completely taken off crawling yet - just cautious and slow - so hopefully I'll be able to add real, legitimate crawling to her milestones next month! Annabelle has definitely found her tongue this month, too. She stuck it out occasionally before, and she even chews on it with her gums when her teeth are REALLY hurting her, but now, she plays around and sticks it out at us to be silly. She knows she gets a reaction because, duh, it's adorable... so she always has it out these days. See below for further proof. Such a silly girl. 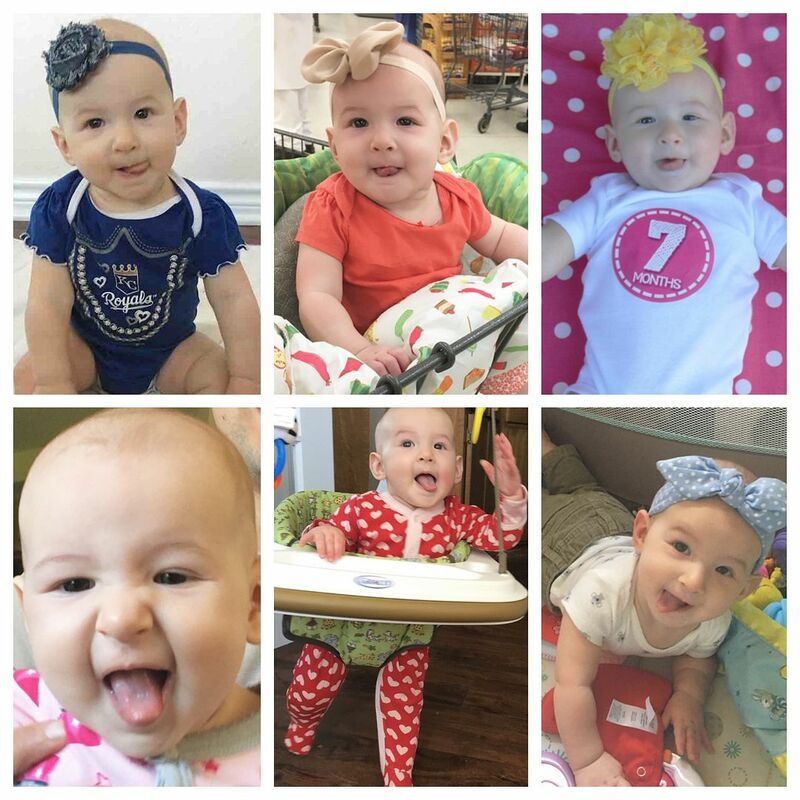 Seven months in of being this girl's parents, and we are so happy. She lights up every room she enters, and we couldn't be more thankful to call her ours. Even if she is the biggest little weirdo we know.